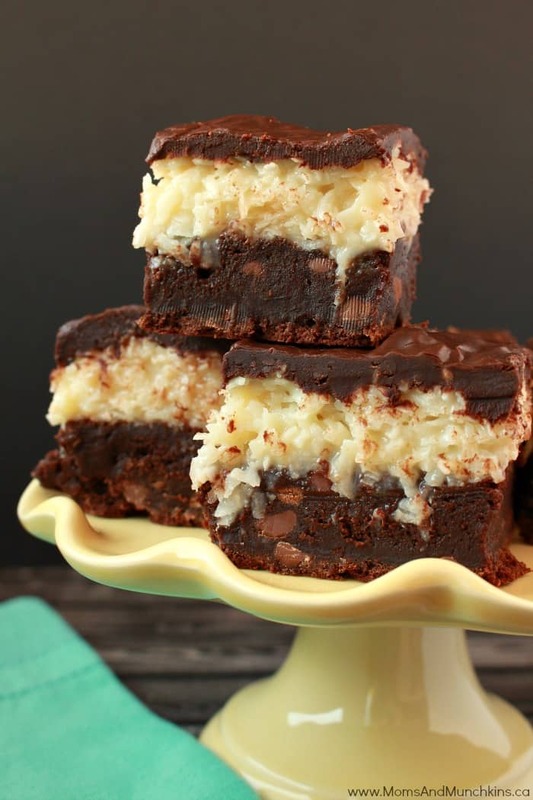 Chocolate & coconut – one of my favorite combos! 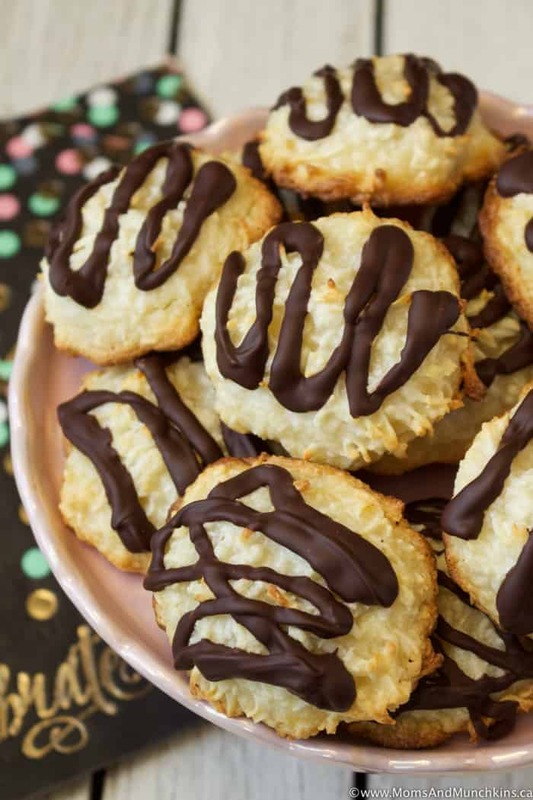 These Coconut Macaroons are like really chewy coconut cookies. You don’t have to top these with the drizzled chocolate but why not, right?! Everything is better with chocolate! Well, maybe not broccoli…I’ll try it and get back to you on that. 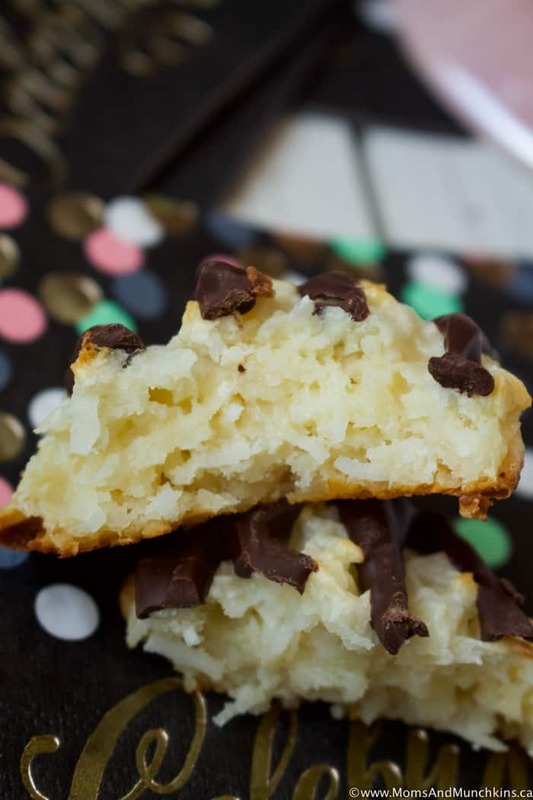 These Coconut Macaroons are incredibly easy to make – no beaters required and just 15 minutes of baking time. They make a great dessert for a holiday baking exchange or an office potluck lunch. 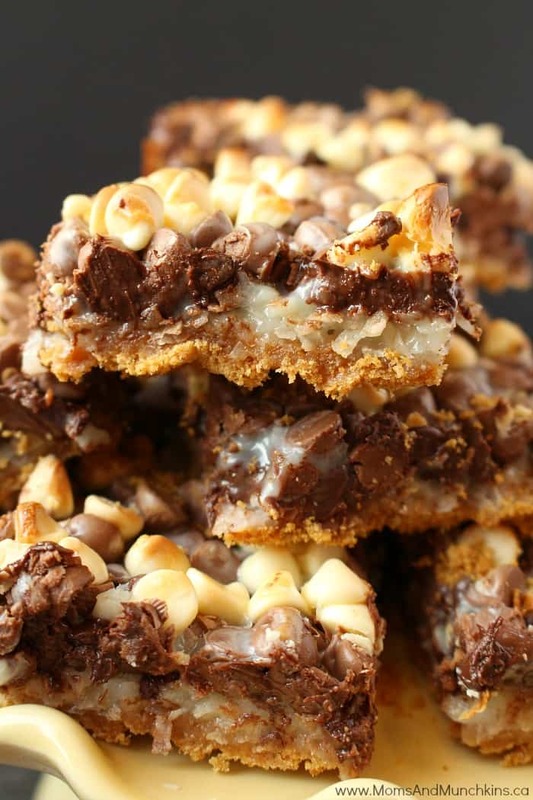 Trust me, you’ll be Ms. or Mr. Popular at the office if you make these for your coworkers! This recipe makes 16 macaroons using a 2-tablespoon size cookie scoop. You don’t have to use the cookie scoop for measuring them out but I find it really handy for making sure they’re all the same size and saving my hands from the sticky mess. This recipe makes 16 macaroons. In a medium bowl, combine coconut, condensed milk, vanilla and flour. Stir until well mixed. Scoop mixture into 2-tablespoon size balls (I use a cookie scoop for this) and drop onto baking mat (space at least 2 inches apart from each other). 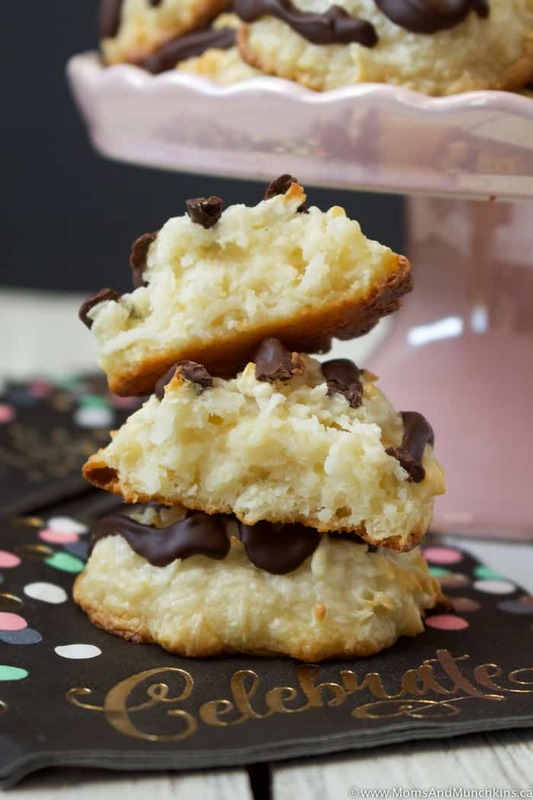 Drizzle chocolate evenly over each macaroon. Let macaroons cool completely on cookie sheet before transferring them to the fridge so the chocolate hardens. Once the chocolate has hardened, place macaroons in a resealable plastic food storage bag or container. Chocolate Coconut Brownies – these always get rave reviews from guests! Triple Chocolate Coconut Bars – you won’t believe how easy these are to make! 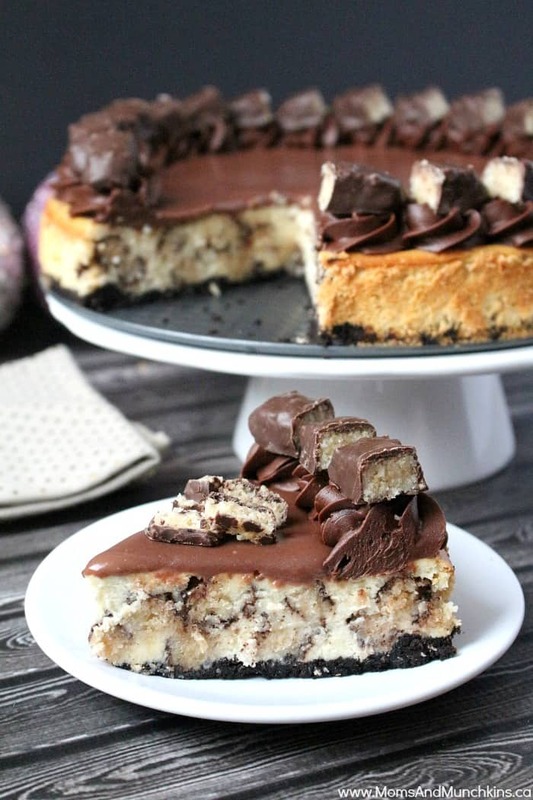 Macaroon Cheesecake – my absolute favorite cheesecake recipe! You’ll find more delicious ideas on our Recipes page. Stay updated on the latest recipes and home entertaining ideas by following us on Facebook, Instagram, Pinterest and Twitter.